Lt Col Brennan Dwyer joined the Army in October 1984 when he enlisted into the TA with the Manchester and Salford Universities Officer Training Corps. The following year he joined 4th (V) Bn The Parachute Regiment, continued with the OTC and gained a bursary from the Queen’s Regiment. In 1986 he attended the TA Commissioning Course at RMAS. After graduating, and travelling across Africa, Lt Col Dwyer joined the Regular Army in January 1988 and returned to RMAS before commissioning into 3rd Battalion The Queen’s Regiment. Deploying directly to Northern Ireland for a residential tour Lt Col Dwyer led a rifle platoon before becoming Anti-Tank Platoon Commander in 1989. In 1990 the Bn moved to Cyprus for an active two years that included promotion to Captain and becoming Bn Training Officer. This posting included a tour of the Falkland Islands. As OC Fire Support in the Falklands this included some challenging patrolling and the chance to run some demanding range packages. The tour finished with the opportunity to lead six soldiers across South America from Montevideo up to the USA. With the creation of the Princess of Wales’s Royal Regiment in 1992, Lt Col Dwyer joined 1 PWRR in Colchester as Company 2ic. He then moved away from Bn for 14 months on attachment before returning to 2 PWRR in 1995 as Company 2ic and then deploying as Company Commander to Omagh, Northern Ireland. After leaving the regular army in January 1996 Lt Col Dwyer joined 6/7 PWRR as the Assault Pioneer Platoon Commander. This led to some time with 10 PARA and then a move to 5 PWRR and promotion to Major in 1997. After three years as a Company Commander with both 5 PWRR and 3 PWRR Lt Col Dwyer left the TA in 2000. 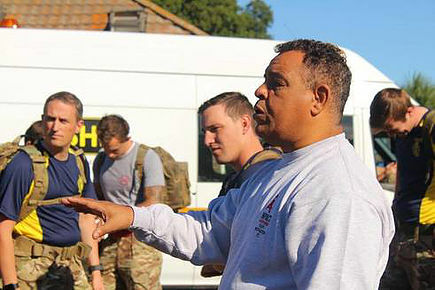 Lt Col Dwyer returned to C Company, 3 PWRR, in 2010. After a year he volunteered for Op HERRICK 15 and deployed to Lashkar Gah with 1 PWRR. Here he served as 2ic for the Police Training Centre and as SO2 Psyops. With OC PPHQ having to leave theatre early he took over this role to enable the handover to the Welsh Guards. After returning from Afghanistan, Lt Col Dwyer continued with C Company before becoming Bn 2ic in December 2013. After almost 3 years as Bn 2ic he was promoted to Lt Col and moved to the role of SO1 Reserve Policy in October 2016 at HQ Infantry. Lt Col Dwyer took command of 3 PWRR in January 2018. Outside of the army, after some time as a Civil Servant, Lt Col Dwyer gained an MBA at London Business School and became a business consultant focusing on project management and business turnarounds. This has included roles in weapons development, security, fashion, pharmaceuticals, engineering, food nutrition and insurance. In the last four years he has been the co-owner and director of Safer Edge, a security consultancy that trains and provides security for NGOs and development organisations. The company helps keep aid workers and others safe when they are operating in hostile environments such as South Sudan, Afghanistan and Nigeria. Lt Col Dwyer has recently moved away from his director’s role in the company so that he can prepare for command and continues to work on NGO security as an independent consultant. Interests include cycling, implementing the local Parish Plan, restoring a VW Beetle and adventurous training. While never a natural athlete, events he has completed include the Marathon des Sables, climbing Mount Kilimanjaro and Mont Blanc, various marathons, two Ironman competitions, rowing the Channel and running the bulls at Pamplona (once with his children). Lt Col Dwyer is married to Claire, a piano teacher, and has four children. Chief Instructor - Cliff Thompson joined the Queens Regiment in 1978 and during this time found his talent and passion for training and became a PTI. In 1992 his regiment amalgamated to become PWRR and during this time Cliff was promoted to Sergeant. Throughout his successful career in the army one of his most favored activities was boxing which increased his physical fitness and passion for training. In 1999 he became part of the regimental recruiting team TYT so he has an adept knowledge of exactly what the army look for in its potential recruits. By 2001 Cliff’s contract finished and he left the army to fulfill his dream of being a personal trainer. After a year of tutelage Cliff achieved his Level 3 BTEC Specialist Certificate in Personal Training and was sought out by Gavin Hawkes from Instant Muscle who enlisted Cliff to help design and improve their physical fitness course. Drawing from years of military and personal fitness training Cliff helped improve a course which gave structure, discipline and skills to 16-18 year olds. The course helped give them motivation to better themselves and Cliff was so adept at encouraging the participants that the CEO then helped turn the course into the Charity IMPACT Ashford. The Charity IMPACT Ashford was a continuation of a training course which helped young people into the armed forces, helped teach them healthy cooking and other life skills. In Summer 2015 the Impact Ashford charity was converted into a Community Interest Company by Concept Training and this is where the current courses are run. ​Since 2002, with the help of others, Cliff has trained, guided and supported over 500 young people into successful careers in the Armed Forces. He has helped them overcome addictions, weight issues, mental health issues with the safe environment of the courses run by him. Thanks to Cliff, IMPACT boasts a 90% success rate in passing selection. Lieutenant Colonel Andy Betts was commissioned into The Princess of Wales’s Royal Regiment in 1996. He assumed command of 3rd Battalion The Princess of Wales’s Royal Regiment in September 2015. His early operational experience with the 2nd Battalion included tours of Omagh from 1996 – 1997 (Platoon Commander), Bosnia from 2000-2001 (Company Second-in-Command) and Dungannon in 2003 (Battalion Operations Officer). He also experienced overseas training exercises in Kenya, Canada (BATUS), Botswana, and the Oman. He was promoted to Major in 2005 following an appointment as an SO3 in Commitments Division in Headquarters Land Command. 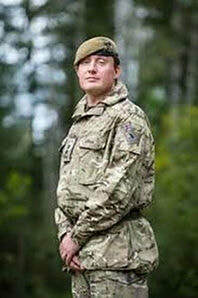 He deployed directly from the Initial Command and Staff Course (Land) to Iraq on Op TELIC 8, and commanded C Company 1st Battalion The Princess of Wales’s Royal Regiment (1PWRR). Initially based in Maysan Province with the Queen’s Royal Hussars’ Battle Group, he had responsibility for the town of Al Amarah, before redeploying to Basra City following the closure of the Maysan base. His initial staff appointment was to HQ Allied Rapid Reaction Corps (HQ ARRC) initially as SO2 XO to Chief Joint Fires and Influence, before setting up the Headquarters Strategic Communications cell. From HQ ARRC he returned to 1PWRR in Paderborn as the Battalion Second in Command which included a deployment with the battalion as Chief of Staff of the Police Mentoring and Advisory Group on Op HERRICK 15. A short period as Chief of Staff Command Staff and Tactical Training Group followed where the Group ran staff training for Op HERRICK 17 – 19 deployments and the return to Contingency. Promoted to Lieutenant Colonel in 2013 he attended the Advanced Command and Staff Course and completed a Masters degree in Defence Studies. Most recently he has been an SO1 within the Army Inspectorate reviewing and auditing a wide range of Army activities.